The movie is set in the 1950s and gives us a feel like it was filmed at that time and feeds the right emotions. Anderson the director took references from Powell and Pressburger to Hitchcock and blends things up into a fairy tale with many twist and turns. The costumes used throughout the movie was outstanding and gives a royalty to the cast crew and the screen space. Daniel Day-Lewis has just retired after Phantom Thread and that’s how one should end his career with all his best one last time. Reynolds is an organized master who has things in control and a person who cannot let a crooked painting remain crooked. He is a highly talented person and overprotected by his sister Cyril (Lesley Manville) who is the key to his world. She has the space to ask his latest women to pack her bag when she needs to. The movie plot changes once Reynolds meets waitress Alma (Vicky Krieps). He likes her and senses the connection between them. Reynolds is too much of a demanding and uncompromising person. If Alma decides on him then she has to go by his rules forever. The plot becomes thrilling and unpredictable once the fraught central relationship becomes their war zone. Who is the centre of command and who controls whom? 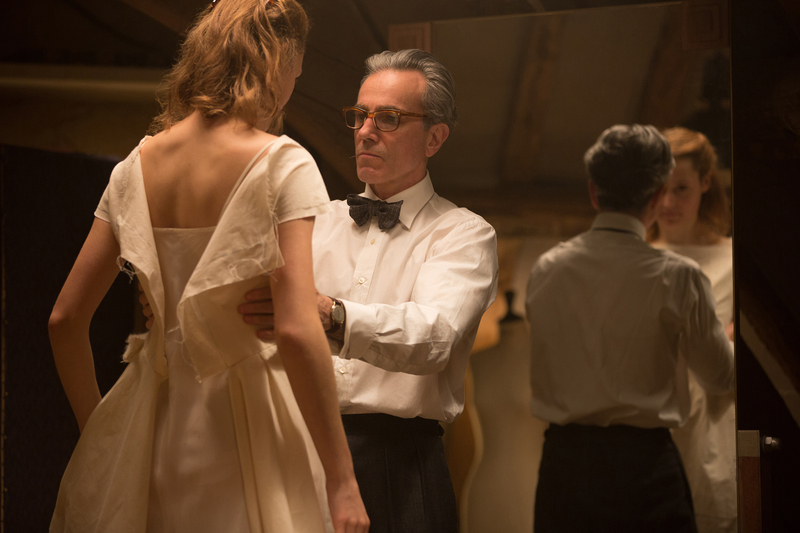 The Phantom thread becomes interesting and holds you firm to the seat. Overall, the sharp dialogues, musical score by Jonny Greenwood and the cast’s performance all combine to create a magic called Phantom Thread. A spellbinding slice of storytelling from the team.